1. Find the PDF file you’d like to use. You may open the file directly from iCloud. 2. If you’d like to open a new PDF file, you may click the “New Document” button on the bottom left corner. 1. 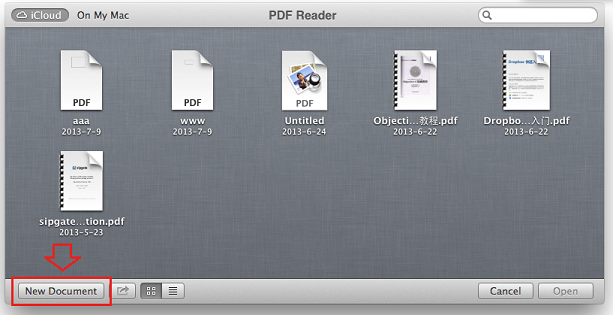 Find the PDF file you’d like to import to PDF Reader. 2. 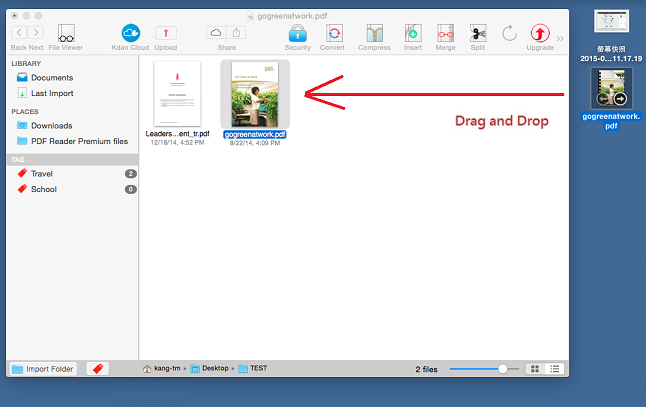 Drag the file and drop it to PDF Reader’s Management. 3. The file will appear in the Last Import and also in the Documents section (under LIBRARY).